I have one of the fussiest 10 year olds, I’ll have to try these to add protein to his diet. Thanks much, Great recipe! Jamie, oh can’t that be so frustrating? 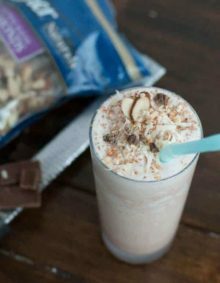 We add protein to all sorts of things, pancakes, waffles, oatmeal, green smoothies, ice cream etc! It’s all about getting a good kind that isn’t gritty so they don’t mind it. Oh how I love crepes. These look amazing. Love your blog! I really like what you’ve acquired here, really like what you are saying and the way in which you say it. You make it enjoyable and you still take care of to keep it smart. I can not wait to read far more from you. This is actually a wonderful website. capital to claim that I acquire actually loved account your weblog posts. I pinned the recipe! Awesome giveaway!! 2. Two copies of Rafflecopter showed up.. Completed (except Instagram) for both. If this is not what should be done, can you eliminate one set so I’m not disqualified for entering twice? Thanks and thank you and Blendtec for this giveaway! OMG Carri this is the BEST giveaway EVER!! Love your website and all the wonderful things you are doing!! I’ve wanted one of these for a while. *crossing fingers! * Thanks for the giveaway! Would die for a Blendtec! Not in my budget, winning would be EPIC!!! Would love one to make all my healthy smoothies in!! Fingers crossed, I would love a Blendtec! What a giveaway! Thanks for hosting it! I’m so glad I found your website. I would LOVE a Blendtec!!! I can’t wait to try your rolls you made on KSL, great job! Oh, I would seriously love this!! We have started getting back into working out and keep saying we need a good blender for smoothies and such. Gotta try these creeps as well. What a great idea! I’d love to own a Blendtec. For now, I’ll have to make your crepes the old fashioned way! Those look so marvelous. i sneak protein powder into all sorts of stuff too! Super looking blender. Will definitely try the crepes. Your crepes look delicious!!! I would also love to have a Blendtec blender!!! Thanks for the giveaway!!! I would love to win the BlendTec, and I love your crepes. Fun giveaway! I’ve been meaning to get a blendtec for so long! 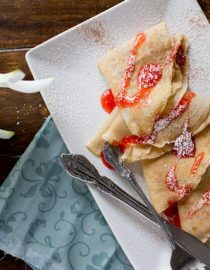 And these crepes – AMAZING! If only I could wake up to them tomorrow morning! 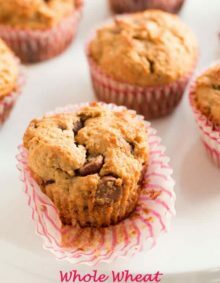 I love that these have protein powder in them – smart!! And I totally heart my Blendtec. One of my very favorite appliances. Thanks, Deborah! A little healthier so you can eat more, right?! great giveaway! and tasty recipe 🙂 thanks! I would never have guess these were 5 days old. Love that you put protein powder in the crepes! My fingers and toes are crossed for that awesome blender!!! Love these! And totally entered the giveaway 🙂 Fingers crossed!! I love your site! My kids love creeps too, can’t wait to make these!! 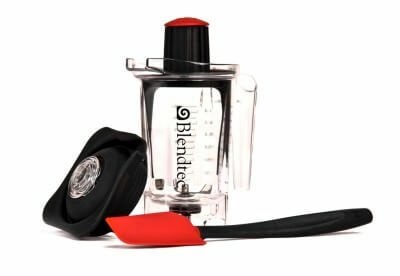 I want a blendtec so bad but would much rather win one than buy one :). What an amazing blender! This goes on my wish list! I literally yell(ok, mutter under my breath) at my cheap blender everyday. I really hope to win this so I can reclaim some of my sanity. Talking to inanimate objects is never a good thing. I have wanted a Blendtec for the *l o n g e s t* time! My husband even watched a demo at the store a couple weeks ago $ was SO impressed!!! Trying your recipe ASAP!! Thanks!!! I would love a Blendtec! And thank you for the stealthy healthy recipes! Keep ’em comin’ ! These look amazing, Carrian! Love Blendtec! These crepes look incredible. Oh, how I would love to win this giveaway! Thanks, Amanda! We seriously loved them! These crepes look so yummy! 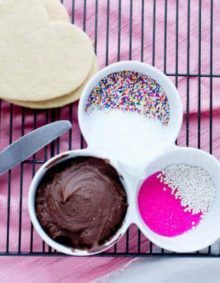 Did you use one of those special pans to make them? I’m always nervous I’d really mess them up! Maria, I just use a regular, round, nonstick skillet. I need to learn about these special pans! 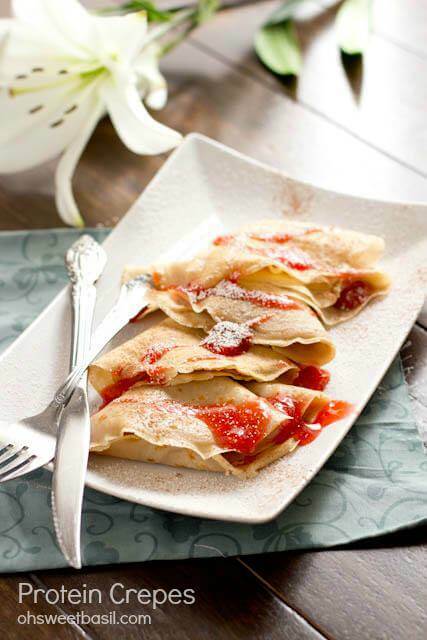 Oh my word, these crepes look fab and I love that they’re healthy!!! 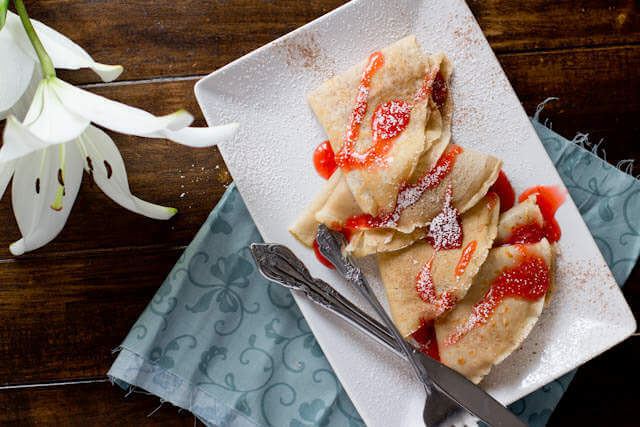 Protein crepes sound amazing (and look delicious). I would kill to win a Blendtec blender we have wanted one forever now and I know that I would juice and/or make smoothies daily if I owned one. Good luck!! I cannot wait for someone to win it!! This sounds delicious! I love using protein powder in pancakes and I love using my Blendtec to make batter!! Blendtec is seriously awesome isn’t it? !